Can Superman keep Smallville from going to the dogs? Acts of awesomeness are happening around town. People are being rescued, runaway tractors stopped, and fires extinguished. This is all in a day's work for the hero known only as 'Superman.' But who is he, really? Thirteen-year-old Clark Kent knows. He has a super secret-one his parents are constantly worried will get out. Clark promises to be extra careful, but when random objects begin to take flight and disappear, his parents threaten to ground him. Except he's innocent! If Superman isn't responsiblewho is? Join Clark in this hilarious adventure as he sniffs out the real culprit. 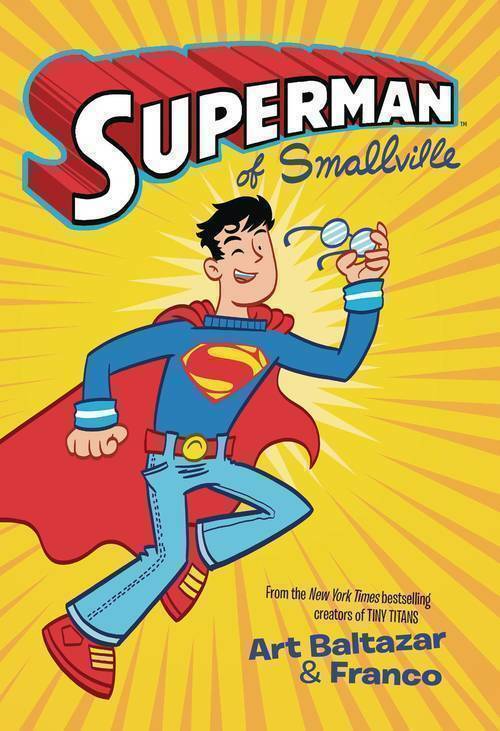 From New York Times bestselling and Eisner Award-winning creators Art Baltazar and Franco comes a fun, whimsical story featuring young Lana Lang, Lex Luthor, and of course, Clark Kent.